Sledgehammer is a spinner in Action Zone at Canada's Wonderland. While it's not the best, it is also recommended. The minimum height to ride is 54 inches. Sledgehammer is a Huss Jump2. 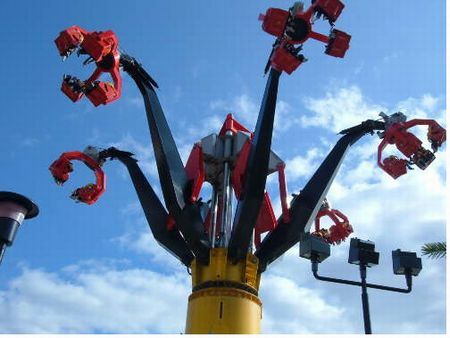 This ride propels riders up to a height of 80ft before letting them freefall back to the ground while the entire ride spins in two different directions at once.